One Last Question: What’s the Best Way to Spend Patriots’ Day in Boston? 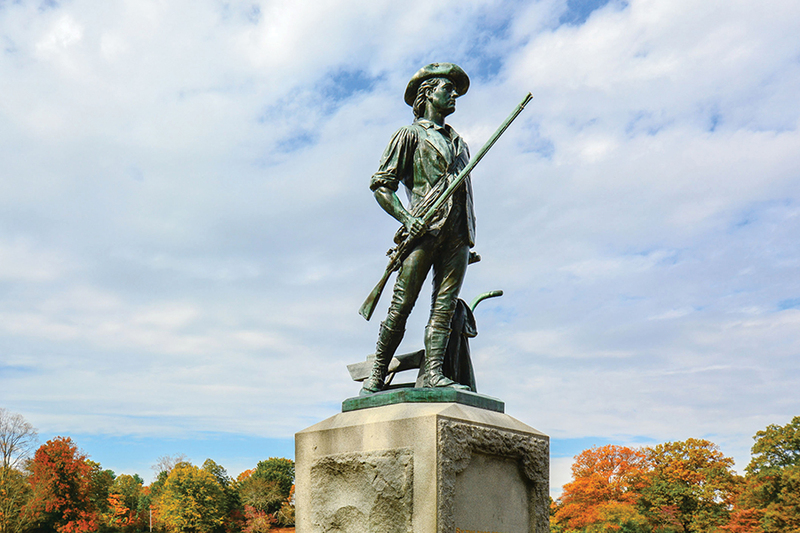 I don’t know if you guys up in Massachusetts have heard, but we in Connecticut will finally be joining you in celebrating Patriots’ Day this year! The thing is, even though my office gave us the day off here, I’m coming up to Boston instead. Although I’ve visited so often and seen the Sox dozens of times since I was kid, I’ve never been there on Patriots’ Day. What’s your advice on how to get the most out of the day and do it right? Congratulations, M.S., on your day off! I’ll be working Patriots’ Day, but the Boston offices are located midway between Fenway Park and the marathon finish line, so I often skip out to check out the scenes. Here’s my hot take: Unless you have awesome Sox tix, skip Fenway. Attempting to enjoy Patriots’ Day at its baseball epicenter involves navigating shut-down streets, multiple security checks, and morning drunks stumbling down Lansdowne Street. The Boston Marathon, however, is the grand event, and the origins of Patriots’ Day and Marathon Monday are closely intertwined. Back in 1894, a deeply unfun holiday called Fast Day was replaced by Patriots’ Day, which was pegged to April 19 to honor the date in 1775 when the American Revolution broke out here. The Boston Marathon was established soon after in 1897, inspired by the race at the inaugural Olympics in Athens the year before. According to Paul Clerici’s Boston Marathon: History by the Mile, the race was always set for Patriots’ Day, and the initial route was to trace Paul Revere’s Midnight Ride in reverse from Concord and Lexington to downtown Boston. But no matter how the Boston Athletic Association tinkered with this idea, this running trail of history would be no longer than 16.45 miles. Instead, a BAA organizer biked west along the tracks of the Boston & Albany railroad and put the starting line in Ashland, 24 miles out. By 1924, the race was extended to Hopkinton, and in 1969, Patriots’ Day was moved to the third Monday in April. Now here you are, wondering where to go. My advice? Avoid the hullabaloo of Hopkinton and the brouhaha of Boylston Street, and cheer on the runners from lovely Ashland State Park. Or rise early and head to Lexington Green for the 5:30 a.m. battle reenactment, then to Concord for the North Bridge Fight and the “shot heard ’round the world” at 8:45 a.m., followed soon after by the parade. New Englanders love few things more than period costumes and heritage processions, and you’ll remember—even if you’re tempted by the mad rush of Red Sox, runners, and rum ’n’ Cokes—that all these things we enjoy were made possible by the original patriots in this very place nearly 250 years ago.